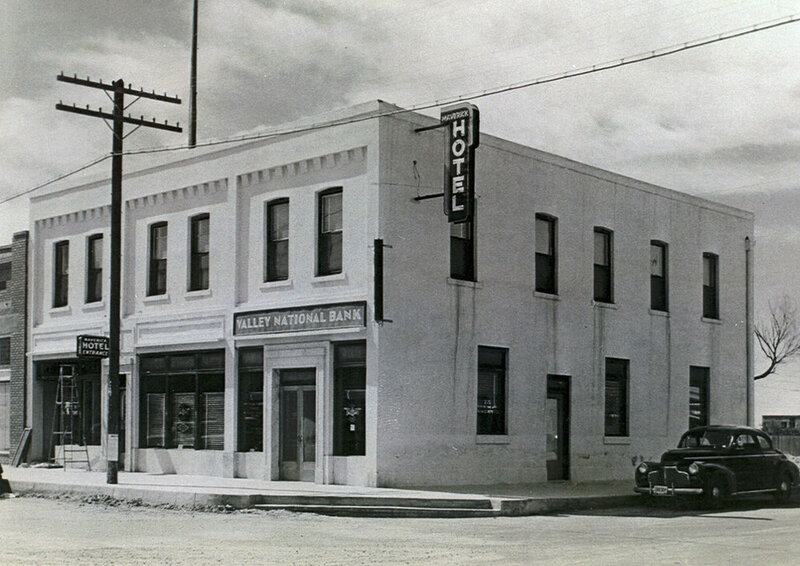 Sometime in the early 1920s, an architectural firm by the name of Lyman & Place, located in Tucson, Arizona, was hired by the Riggs brothers to prepare documents to guide the remodeling of the Riggs Bank Building. 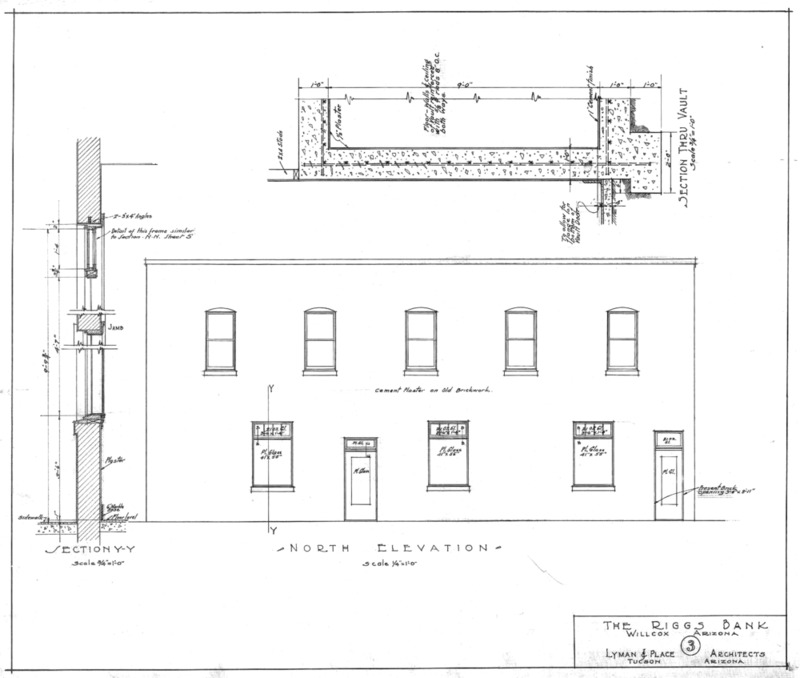 The drawings consisted of three sheets, a floor plan, an elevation of the building facing Maley Street and an elevation of the building facing Haskell Avenue. 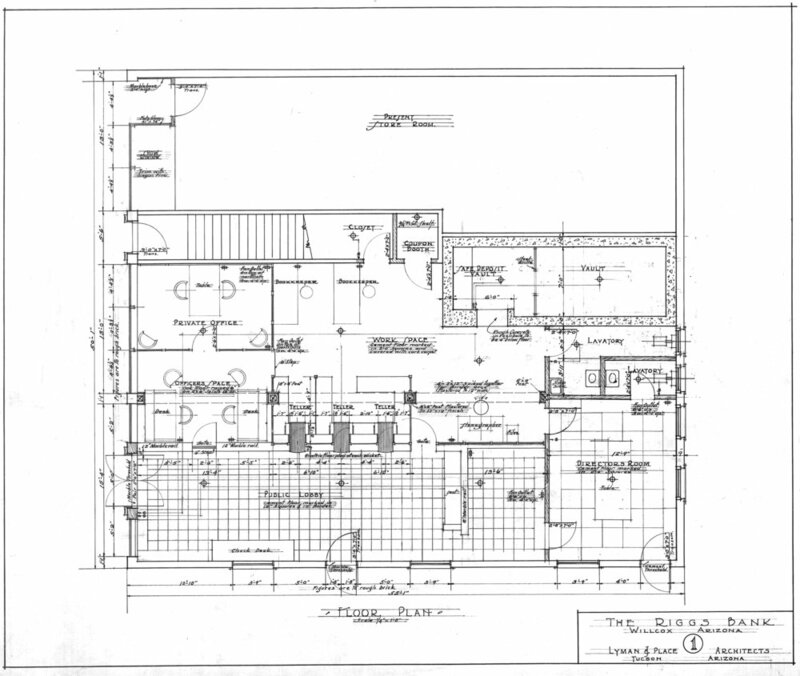 The drawings included details of a new concrete vault that was added. Apparently there was no remodeling to the second floor. 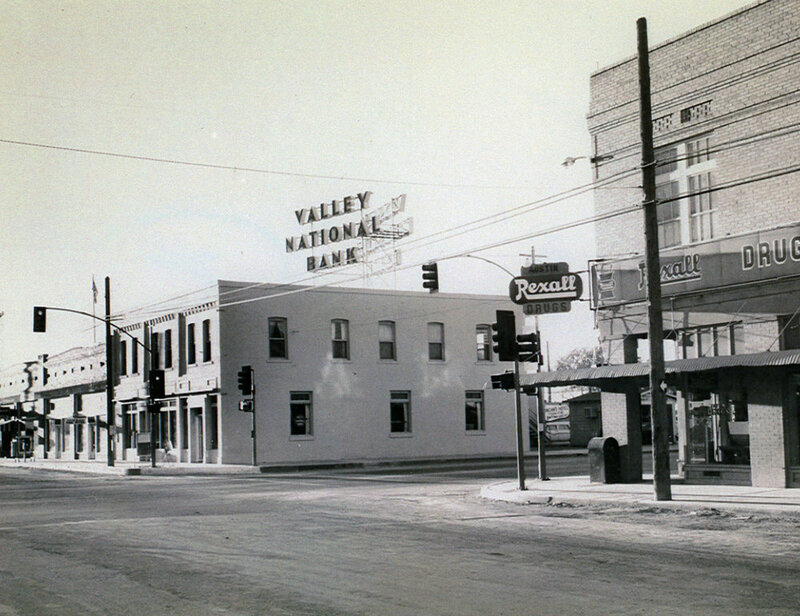 During the summer of 1962, after completing my second year at the College of Architecture at the University of Arizona I worked for an architectural firm by the name of Place and Place. I worked directly under the supervision of a man by the name of Joe Medinger. Fourteen years later, on June 1, 1976 I hired Joe Medinger to come work for me at Architecture One, a firm I formed in 1970 with two other classmates from college. The firm Place and Place was closing and we were able to hire Joe who came with years of experience providing architectural services to Mountain Bell in the state of Arizona. He also came with a great surprise for me. The first day he arrived for work he handed me a roll of drawings, the original drawings of the remodel of the Riggs Bank Building, the same drawings shown above.